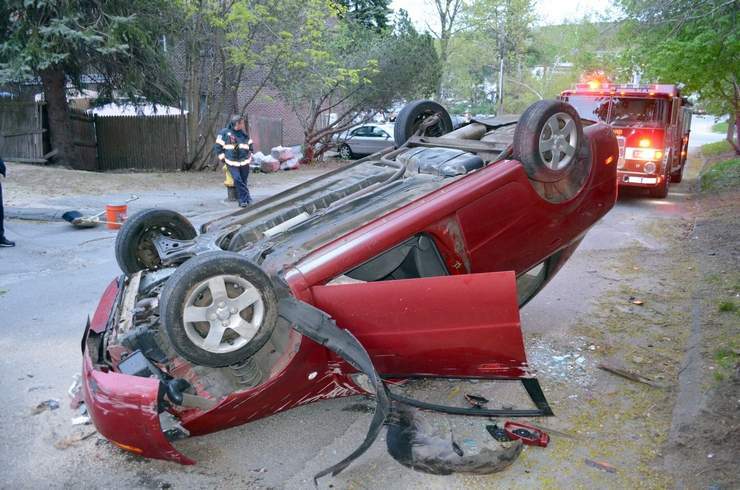 Lance Franklin, 31, of Fitchburg, was arraigned this past Monday in Fitchburg District Court on several Massachusetts Drunk Driving Charges in connection with the May 10 accident in which he allegedly left the scene with his 15 month old baby. Franklin has been charged with several DUI Law Violations, including Operating Under the Influence of Alcohol, Child Endangerment While Driving Under the Influence, Leaving the Scene of an Accident, and Leaving the Scene of an Accident Causing Serious Injury. According to the Fitchburg Police Department, Lance Franklin stole the car belonging to an 83 year old woman from Leominster on May 10. On that date, the vehicle was involving an accident when it struck a retaining wall. Police believe that Franklin was driving the car, in which he also had his wife, another man, as well as his 15 month old son. Fitchburg Police allege that following the crash, Lance Franklin took his son and left the scene of the accident, but left his wife and the other man at the crash site. The baby was reported taken to the home of a relative, who later took the child to Leominster Hospital to be treated. Police Officers reportedly tried to locate Lance Franklin for several days following the crash, but were only able to locate him this past weekend after receiving a tip that he was back home. Fitchburg Police ultimately arrested Franklin after he allegedly tried to flee from the back of his house. The Massachusetts DUI / OUI Crime of Child Endangerment While Operating Under the Influence of Alcohol makes it a crime to operating a vehicle while under the influence of alcohol or drugs while also having a child 14 years of age or younger in the car. A conviction for this DUI crime is punishable by imprisonment in the House of Corrections for not less than 90 days and for up to 2.5 years for a first time offender; and for not less than 3 years and up to 5 years in state prison for a subsequent offender. Following his arraignment on Fitchburg District Court on these several DUI / OUI Charges, Lance Franklin was ordered held on $10,000 cash bail. Boston Criminal Defense Attorney Lefteris K. Travayiakis is available 24/7 for consultation on all Massachusetts Drunk Driving Law Violations, including DUI / OUI, Child Endangerment While Driving Under the Influence, Leaving the Scene of an Accident and Negligent Operation of a Motor Vehicle.